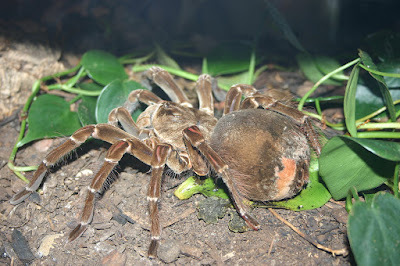 These huge tarantulas are nocturnal and are know to feed on frogs small snakes , lizard, birds and even bats. It has fangs large enough to break human skin. The Goliath Bird Eater Spider lives in the tropical forests and females are documented to live to up to 25 years .